Bolivia is well-known for its multiculturalism and authenticity. After all, 55% of the Bolivian population is indigenous and autochthonous. 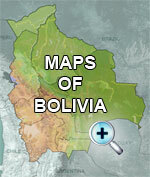 In 2010 the country was renamed the Plurinational State of Bolivia by its president, Juan Evo Morales Ayma. This event is officially celebrated the 22nd of February. One of the most well-known of the 38 ethnic groups in the country is the Aymara since this group represents 25% of the population, and above all because the president himself is a part of this group. The Aymara live primarily in the Altiplano, a high plain more than 4,000 meters above sea level. 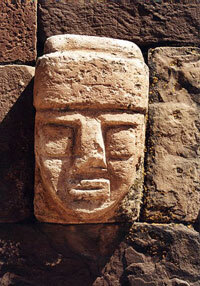 It is believed that these people are descendants of the Tiwanaku, a pre-Inca civilization. This culture is known to be traditional and, above all, resistant because they exist to this day in spite of Inca and Spanish invasions. Currently more than 1.6 million people speak Aymara and practice the traditions of their culture. This endurance can be explained thanks to an apparent submission to other cultures and a syncretism that actually hid a secret practice of Aymara customs in the home. Therefore, even today, Aymara is spoken at home while Quechua (the language of the Inca) or Spanish is spoken in public. The Tiwanaku ingeniously exploited their natural environment. They had a well-developed irrigation system that made it possible to grow crops in the cold, dry Altiplano. They also had a migration system to go cultivate and harvest products that they did not have from other ecosystems (for example, fruits from the Yungas and lower, more fertile valleys). One of the Aymara knowledge is the astral calendar, based on events in the sky and earth in order to organize man’s social life. That is why the equinoxes and solstices are emphasized and times for significant ceremonies and rituals. On June 21st, the winter solstice in the Southern Hemisphere and therefore in Bolivia, is also celebrated as new year’s day by the Aymara. On that day the sun is at its farthest from the earth, and it is the shortest day and longest night of the year. The date marks the end of the harvest and beginning of the new agricultural cycle. On the night of June 20th, the people, who are called together by wise men (yatiris) and Andean priests (amautas), get together to say good bye to the old year around a ceremonial table with coca, alcohol and other elements of Andean rites. A vigil is kept throughout the night until the new day dawns when the sun emits its first rays which are reflected at precise places in sacred Tiwanakan sites. One hour from La Paz at the site of Tiwanaku are the ruins of an ancient Tiwanakan temple which are the largest of this civilization. New sacred sites are still found today. This civilization has many great mysteries yet to be discovered, but unfortunately scientists do not have the means to discover them. 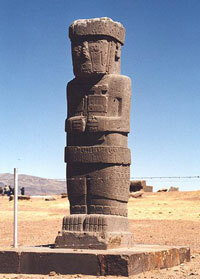 Tiwanaku is the best-known remnant since it is very close to La Paz and was an ancient sacred city of great importance. The temple is the site of ceremonies and rituals that attract great numbers of tourists and the faithful at times of astral events. Every June 21st, the most important solstice, there is a ceremony where people and important political figures, including the president himself, participate together. The president even carried out a ceremony at Tiwanaku to sanctify his inauguration as President thus recognizing this culture that was disparaged for centuries in one outstanding political and symbolic act. After a long night of vigil, around 8 in the morning, when the sun comes up at Tiwanaku, it passes through the Kalasasaya Puerta del Sol (Doorway of the Sun) to illuminate the Ponce Monolith. After the sun comes up, a table of offerings to Inti (the sun) and Pachamama (Mother Earth) is prepared. At the table priests sacrifice llamas whose blood represents a supreme offering to ensure prosperity, fertility of the land and reproduction of life thanks to the sun that makes the seeds grow. The day is filled with festivities: people drink, eat, dance, etc.